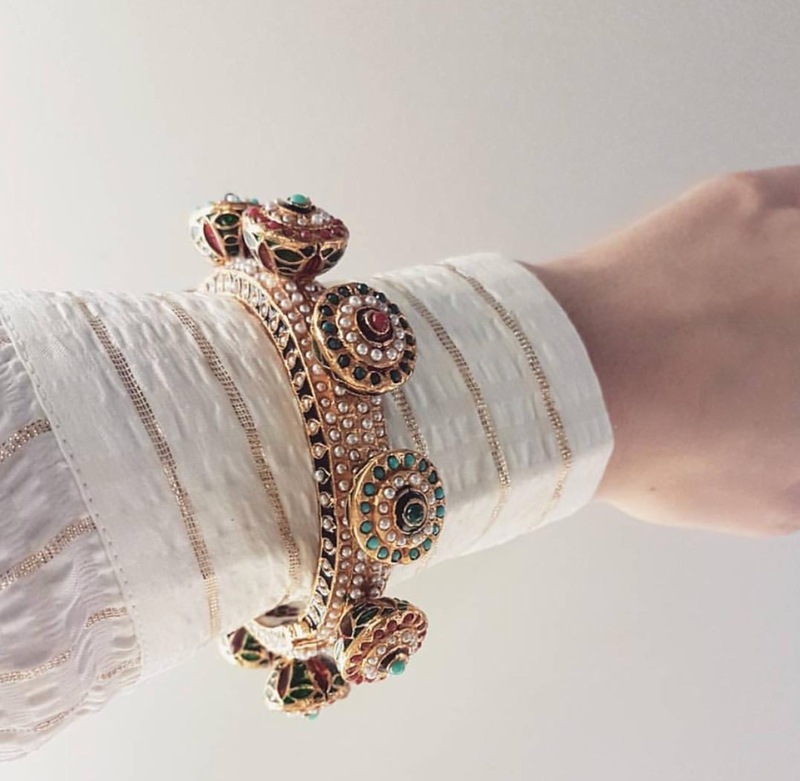 This bracelet is a knock-out, the beautiful details on this is next level. 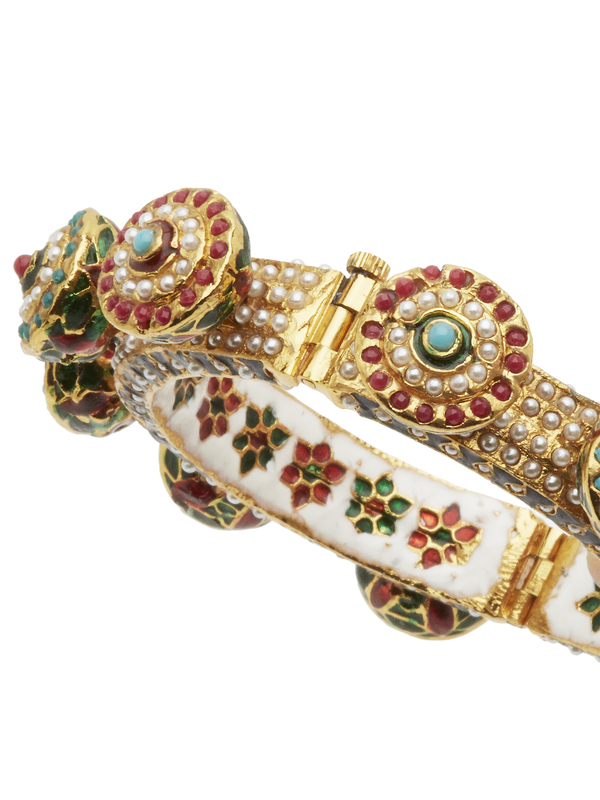 It is made in Kundan style, which is a traditional form of Indian gemstone jewellery involving a gem set with gold foil between the stones and its mount. The method is believed to have originated in the royal courts of Rajasthan and Gujarat. 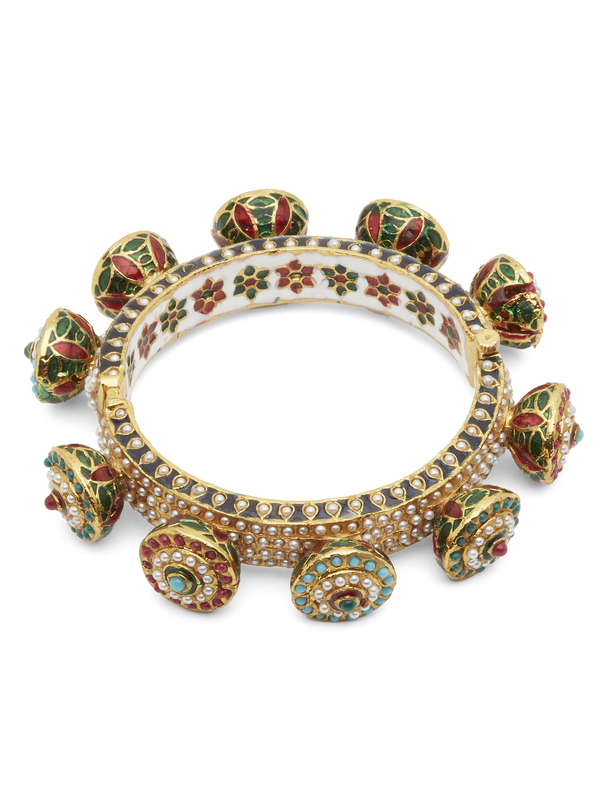 It is good quality brass finished with 18k gold plating Meena Kari, which is the art of coloring and ornamenting the surface of metals by fusing over it brilliant colors that are decorated in an intricate design. It has a little screw on the side which opens the bracelet.